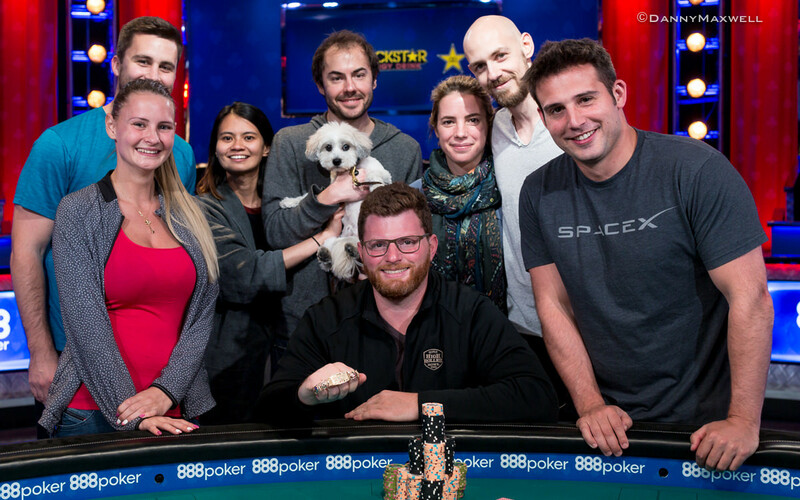 After four days of intense poker action, battling against the top pros in the world, Nick Petrangelo came out victorious in Event #5: $100,000 No-Limit Hold'em High Roller at the 2018 World Series of Poker. Petrangelo defeated fellow American Elio Fox in heads-up play to take home the first-place prize of $2,910,227, defeating a total of 105 entrants. This is Petrangelo's second career World Series of Poker gold bracelet, his first coming in 2015 in the $3,000 No-Limit Hold'em Shootout event. Petrangelo is well known for playing in these specific high roller events, and his track record speaks for itself. The American poker pro has accumulated more than $11.7 million in career tournament earnings but still admits these types of tournaments can take a toll on you. "after a super intense week, it feels like a relief to be done more than anything." Petrangelo bagged the chip lead on Day 2 and Day 3 and seemed in cruise control for long periods of the final table, especially today. He said that it’s stressful sleeping on the chip lead, and compared it to having the lead in a sports game with just minutes to go. “It’s more stressful because you want everything to work out,” he said. “You have expectations to deal with [as chipleader]. I’ve tried to teach myself to just be happy that I’m here, and excited to be playing and not wanting it to be over! It’s a bad sign as chip leader to just want it to end, but there’s always an element of that, no matter how strong you are mentally. Having made numerous final tables over his poker career, Petrangelo may be used to final tables but says that there are always unique situations to try and prepare for. "If I had it my way, every final table would be in the back corner of the room!" Petrangelo praised heads-up opponent Elio Fox, who missed out on a second bracelet in a week. It was the first time in the WSOP history that a $100,000 buy-in event was run without the "One Drop" name associated with it. That didn't stop the best poker players in the world from coming out in full force for their shot at millions of dollars in prize money. Day 1 began with around 20 players, but that number quickly started to grow as players came and entered in waves. After a full nine levels on the opening day, there were 97 entries with just 49 players surviving. Some notables to fall by the wayside on Day 1 included Daniel Negreanu, Erik Seidel, Antonio Esfandiari, Alex Foxen, and Jonathan Duhamel. Late registration remained open for two levels into Day 2, and the total number of entries grew to 105. That made up a whopping prize pool $10,185,000 with 16 players making the money. Among the notable Day 2 entrants was none other than Phil Ivey, who attracted the largest rail looking to catch a glimpse of the poker legend. In search of his first bracelet since 2014, Ivey fell short when he lost a flip to Stephen Chidwick. A few others to fall short of the money included Seth Davies, Brian Rast, Tom Marchese, and Ryan Riess. On the money bubble, Jake Schindler put himself at risk with ace-nine but walked into the ace-jack of Paul Volpe. Schindler was unable to come from behind, and the bubble burst in fewer than five hands. Petrangelo took a healthy chip lead into Day 3 with just ten players remaining, half of which already had the pleasure of winning a gold bracelet in the past. 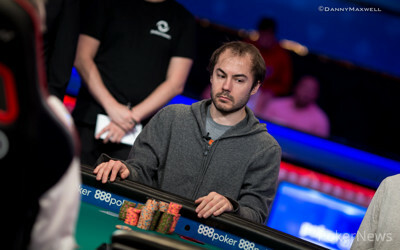 Chris Moore was the first to be eliminated, setting up the unofficial final table of nine. Fedor Holz, Adrian Mateos, and Jason Koon were all eliminated within a span of 40 hands, bringing the tournament down to just six players. Play was halted for the day, and the final six players would return for Day 4 to declare a winner. The final day began with six players returning to the main stage in the Amazon Room at the Rio Convention Center. Bryn Kenney came into the day second in chips but after a couple of early bluffs picked off by Elio Fox, Kenney was soon on the short stack. It wasn't until the second level of the day where the first elimination would occur. Stephen Chidwick was unable to get things going his way today, and after losing a good chunk of his chips to Aymon Hata, he found himself all in for ten big blinds against Hata. 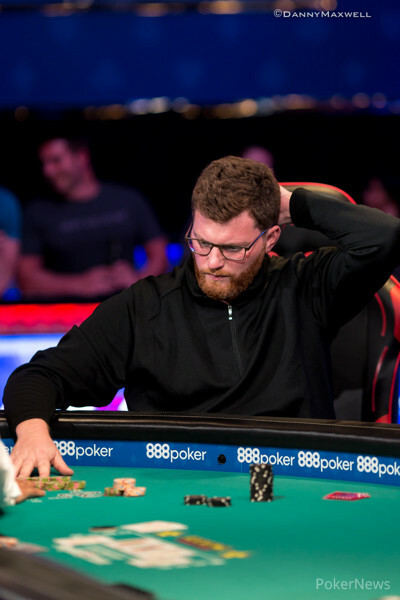 Chidwick was in a dominated position preflop, and although he hit his live card on the turn, Hata countered with a pair of aces on the river to eliminate Chidwick in sixth place. With Kenney on the short stack, it was only a matter of time before his chips found their way to the middle. After a raise from Fox, Bryn Kenney picked up a small pair and moved all in. 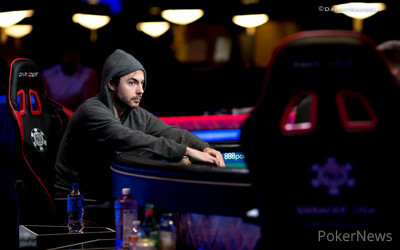 Fox held two over cards and found a pair on the river to send Kenney home in fifth place. The flurry of eliminations in the second level continued when Andreas Eiler flopped trip jacks against Petrangelo's full house. All of the chips went in on the river, and Eiler headed to the payout desk in fourth place. In the very next hand, Aymon Hata flopped top pair and wasn't able to let it go when Petrangelo rivered a straight. Hata was next on the list of casualties to fall to an overwhelming chip leader, Petrangelo. When heads-up play got underway, Petrangelo held a commanding chip lead over Fox, but the two players wouldn't shy away from getting chips into the pot. The majority of hands included (blind) three and four-bets preflop as they played a lot looser than before they reached the final stage of the tournament. Fox won multiple hands in a row and eventually took over the chip lead for a short period of time. It wouldn't last long as Petrangelo was all in with jack-three suited against Fox's pocket fives. Petrangelo flopped a pair of jacks and a flush and held on for a double up to regain the lead. Just moments later, in another four-bet preflop hand, Fox check-raised when he flopped two pair. Petrangelo saw a turn card that gave him a larger two pair and all of the chips went into the middle on the river. Fox's hope for a second bracelet to start the 2018 WSOP came to an end, and Petrangelo's rail burst into cheers. That wraps up the PokerNews coverage for another bracelet event at the 2018 WSOP but continue to follow along for all of the live updates throughout the series. 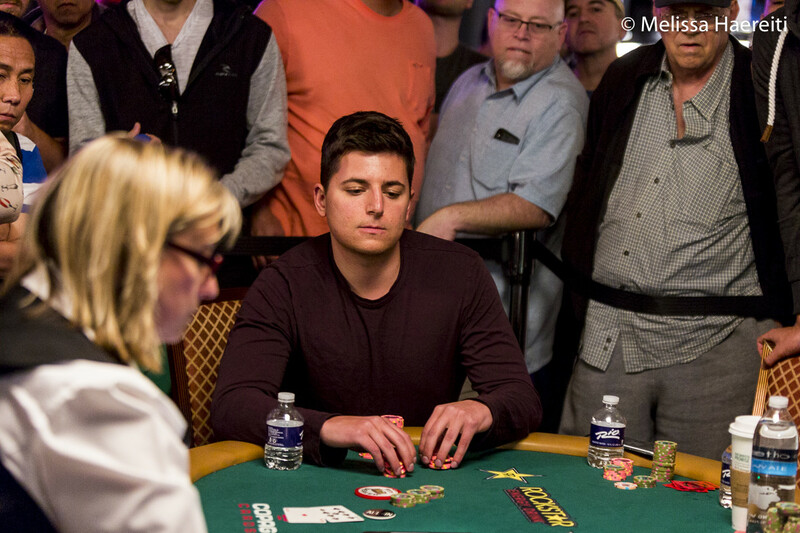 Hand #96: Nick Petrangelo raised to 600,000 and Elio Fox three-bet to 900,000. Petrangelo four-bet to 1,800,000, receiving a call. The flop came and Fox checked to Petrangelo who bet 1,200,000. Fox check-raised to 3,000,000 and Petrangelo called. The turn was the and Fox checked to Petrangelo who bet 4,000,000. Fox called. The river was the . Fox checked, Petrangelo moved all in, and Fox called. Fox showed for two pair, aces and deuces, but Petrangelo had him beat with for aces and queens and Fox was eliminated in second place. 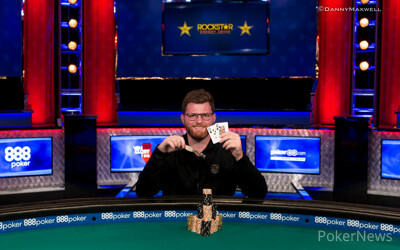 Hand #95: Elio Fox raised to 600,000 and Nick Petrangelo three-bet to 900,000. Fox four-bet to 1,800,000 and Petrangelo five-bet all in for 15,900,000. Fox called. The board ran out with Petrangelo's flopped pair good enough to take down the pot and a double-up. 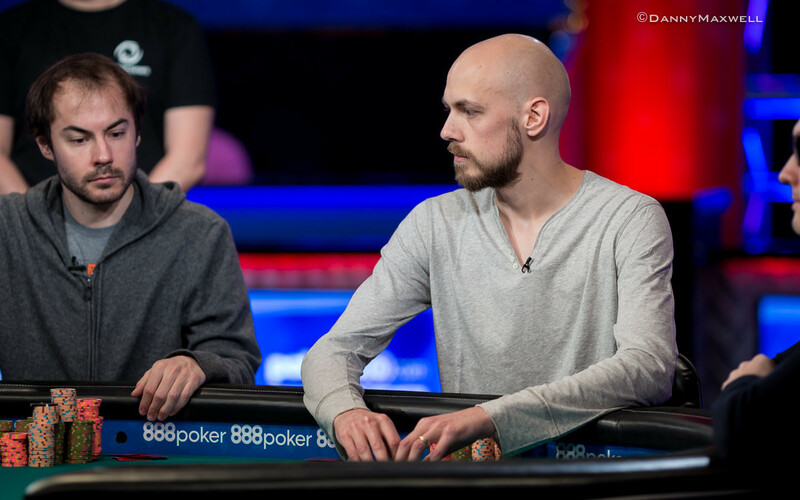 Hand #91: Elio Fox raised to 600,000 on the button and Nick Petrangelo three-bet to 900,000. Fox four-bet to 1,800,000 and Petrangelo called. The flop came and Petrangelo check-folded to a bet of 900,000 from Fox. Hand #92: Petrangelo opened to 600,000 and Fox reraised to 900,000. Petrangelo made it 1,800,000 and Fox called to see a flop of . Both players checked and the landed on the turn. Fox led out for 1,300,000 and Petrangelo stuck around to see the on the river. Fox bet another 2,200,000 and Petrangelo laid his hand down. Hand #93: Fox raised to 600,000 and Petrangelo three-bet to 900,000. Fox four-bet to 1,800,000 and Petrangelo called. The flop came and Fox took down the pot with a bet of 900,000. Hand #94: Petrangelo raised to 600,000 and Fox reraised to 900,000. Petrangelo made it 1,800,000 and Fox called to see a flop of . Both players checked to the on the turn and Fox checked again. Petrangelo bet 1,500,000 and Fox called. The river was the and both players tapped the table. Petrangelo tabled for two pair and was awarded the pot. Hand #86: Nick Petrangelo limped and Elio Fox checked his option. The pair checked down the flop and both players chopped with a straight, Fox holding and Petrangelo . Hand #87: Fox raised to 600,000 and Petrangelo three-bet to 900,000. Fox four-bet to 1,200,000. Petrangelo moved all in and Fox folded. Hand #88: Petrangelo raised to 600,000 and Fox three-bet to 900,000. Petrangelo four-bet to 1,200,000 and Fox called. The flop came and Fox checked. Petrangelo bet 800,000. Fox raised to 2,000,000 and Petrangelo folded. Hand #89: Fox raised to 600,000 and Petrangelo raised to 900,000. Fox raised to 1,800,000 and Petrangelo folded. Hand #90: Petrangelo raised to 600,000. Fox raised to 900,000 and Petrangelo four-bet to 1,800,000. Fox called and the flop came . Fox checked. Petrangelo bet 1,300,000 and Fox called. The turn was the and Fox bet 2,000,000. Petrangelo folded and Fox took down the pot. Hand #84: Nick Petrangelo raised to 600,000 on the button and Elio Fox called. The flop came and Fox checked to Petrangelo who bet 500,000. Fox check-raised to 1,600,000 and Petrangelo stuck around to see the on the turn. Fox led out for 3,200,000 and Petrangelo continued to call. The paired the board on the river and Fox moved all in for 12,400,000 after using up one of his time extensions. Petrangelo quickly disposed of his cards and Fox raked in the pot. Hand #85: Elio Fox raised to 600,000 and Petrangelo three-bet to 1,200,000. The board came and both players checked to the on the turn. Petrangelo led out for 2,700,000 and Fox raised to 6,000,000. Petrangelo dumped his hand to the muck and Fox scooped another pot to take over the chip lead. 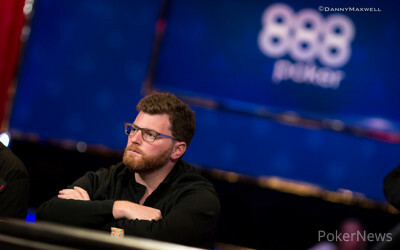 Hand #80: Nick Petrangelo raised to 600,000. Elio Fox three-bet to 2,400,000. Petrangelo called and the pair checked down a board of and Fox won the pot with . Hand #81: Fox raised to 500,000. Petrangelo three-bet to 1,710,000. Fox called and the flop came . Petrangelo bet 2,700,000 and Fox folded. Hand #82: Petrangelo limped and Fox checked his big blind. The flop came and Fox check-called a bet of 240,000. The turn brought the and Fox check-folded to a bet of 1,800,000. Hand #83: Fox opened to 500,000 and Petrangelo defended his big blind. The flop was and Petrangelo checked to Fox who bet 400,000. Petrangelo check-raised to 1,500,000. Fox called and the turn was the . Petrangelo bet 3,000,000 and Fox called. The river was the . Petrangelo checked and Fox checked behind. Petrangelo showed jack high and Fox took down the pot with for two pair, eights and fives. 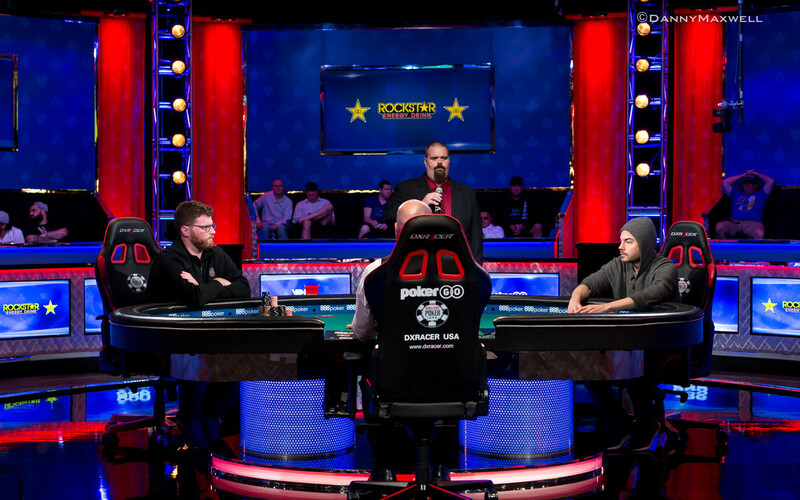 The two players went away for a short break and have returned for the final portion of the $100,000 High Roller with the title and WSOP gold bracelet on the line. Who Will Take Home the $100,000 High Roller Bracelet?